It would seem that more and more wine drinks are taking notice of the incredible benefits that comes in a glass of natural wine. Natural, organic and biodynamic wines are flying off the shelves, proving themselves as a superior choice for those who are conscious about what goes into their body. But shouldn’t we all be? Let’s look further into exactly why natural wines are becoming so popular and what benefits they bring to the wine glass. 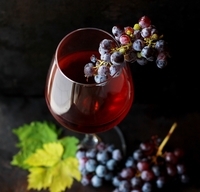 To put it simply; natural wine is made with grapes that have not been allowed to grow with any pesticides, herbicides, fungicides or synthetic fertilisers. There are also barely any traces of sulphur-dioxide preservatives, acids, enzymes or tannins by the time the wine is bottled. The intention is to make these wines with as little interaction with chemicals or unnatural products as possible. That means they often come unfiltered which gives the wine a slightly cloudy appearance. The only two “sprays” that are used in vineyards that produce only natural wines are cow manure and silica. The cow manure is sprayed over the soil during dusk, which is when the soil can be described as, “breathing in”. The silica is then sprayed over the soil during the dawn hours, when the soil is “breathing out”. The science behind this method is that the sun is at the horizon during both times and provides the vineyard with a greater concentration of energy over the surface of the earth. However, the question is, are natural wines really better for you than your standard wine? Well, the honest answer is; yes and no. Alcohol isn’t exactly the best thing for anybody; however, a cleaner version is a much better choice. A wide selection of natural wines is sulphite-free. This means that no additional SO2 has been added into the wine during the winemaking process. Drinking sulphite-free wines can benefit anybody, but particularly those who are potentially allergic to it. Symptoms of a sulphite allergy can include headaches, asthma, skin flushing, itching, hay fever and abdominal pain. Sulphites can even prolong a hangover, with an inability to bounce back at all the next day, nausea and fatigue. So, choosing natural wines can be generally beneficial to every wine drinker out there. Contact your local natural wine supplier today to find out more about finding that perfect bottle.